A friend shared this on-going battle that two parents are engaged in, with Boston Children's Hospital and the Department of Children and Families, over the care and custody of their teenage daughter, Justina. There is nothing that infuriates me more, as a person with a rare disease, myself, than to read about conditions such as "somatoform disorder" and "conversion disorder". To me, these are the "diagnoses" used by physicians who just can't figure out what is truly wrong with the patient. In my book, you are a bad doctor if you find yourself diagnosing difficult cases with these types of psychological illnesses. Plus, if you are a hospital that then engages child kidnapping protective services, based on your inability to diagnose, then you cross over into negligent and, for lack of a better word, cruel territory. This family's plight upsets me greatly, because, thinking back, this very thing could have happened to our family. When I was younger, I was passed around several doctors who just couldn't diagnose me and said I was having paralytic attacks "for attention". I have since been "vindicated" by a genetic test that identified my condition, but not everyone has the luxury of an illness that shows up on a genetic test. Luckily, I spent 10 years under the care of a good doctor who was able to diagnose me clinically, well before my genetic diagnosis was made possible. What I do consider abuse is taking a child away from their loving, dedicated parents. That is psychologically harmful. It is not in the best interests of the child. It seems completely self-serving for the hospital do lay the blame on the parents for their disagreement about Justina's diagnosis. If opinions differ between hospitals, then they should know that the medical situation has no easy answers. Instead, they take the "easy" way out and label the parents abusers and kidnap the child so they can do as they see fit. For those of us in the "atopic" community, with children dealing with various conditions that are not always easy to diagnose (think Eosinophilic Esophagitis (EoE), combinations of allergies and intolerances, etc.,) this is something we need to keep on our radar. I will be looking into any ways that I can help this family, and all other families dealing with these agencies that seek to overstep their boundaries. We cannot sit by and allow this to happen. P.S. I know that she wasn't, technically "kidnapped" since that is illegal, but the fact that they are able to get away with this, within the confines of the law is startling and disturbing. What is legal is not always right. 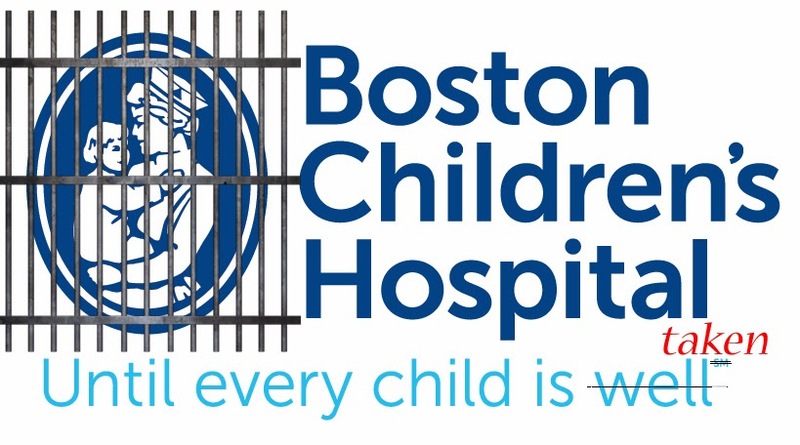 I know Boston Children's Hospital is not the only hospital to have ever done this, but it is the one currently in the spotlight. 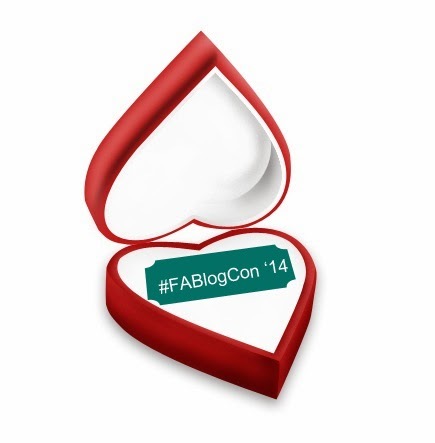 Food Allergy Bloggers Conference 2014 - Tickets on Sale! As I explained in an earlier post, the Food Allergy Bloggers Conference was a uniquely spectacular experience. This was my first blogging-related conference, and I am now probably spoiled for all other conferences! I've been to other conferences for non-blogging-related purposes and I would stack Chef Keith's amazing food up against any that I've had at other events. The impressive thing is that the food was allergy-friendly and catered to other dietary restrictions, as well. Chef Keith is a #CustomEater Magician! Getting together, in person, with so many awe-inspiring, dedicated, conscientious, and motivated bloggers and advocates was a dream come true and this dream will be brought to life, again, this September! The lineup of speakers is shaping up to be fantastic and more are to be announced! Not yet listed on the Speakers page, but announced under a separate post, was the addition of Robyn O'Brien! There is sure to be something for everyone at this event. My apologies for being late in announcing such fantastic news, but tickets are on sale and there is a $75 discount in progress, through February 15, 2014. Valentine's Day, aside from the historical origins, is about love and friendship, so what better way to celebrate than to get yourself (or have someone get you) a ticket to an event full of friends, both existing and soon-to-be, with whom you share common purposes and passions? Flowers fade, candy is consumed, but the experiences of the Food Allergy Bloggers Conference stay with you always! I hope you'll join us and bring your unique perspective into the fold. Disclosure: I am being compensated for design work, printed material creation and other duties as assigned, for the Food Allergy Bloggers Conference, but I am not being paid to promote the event. All personal blogging activity is of my own volition and not commissioned or required by the Food Allergy Bloggers Conference.